With all the garments I’ve been sewing in the past few weeks, I’ve had plenty of time to think about notches. Those little doo-hickies on the pattern that exist to either confuse you or slow you down, a lot of the time. And it seemed like a good time to snap a few pictures and talk about why I cut my notches the way I do. 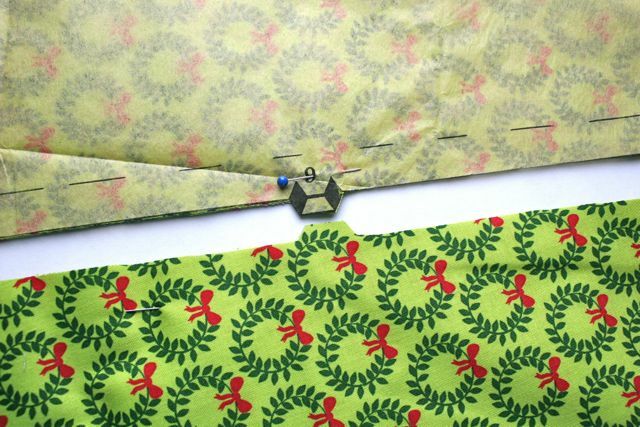 Notches are a part of the pattern piece used to join two garment sections together. 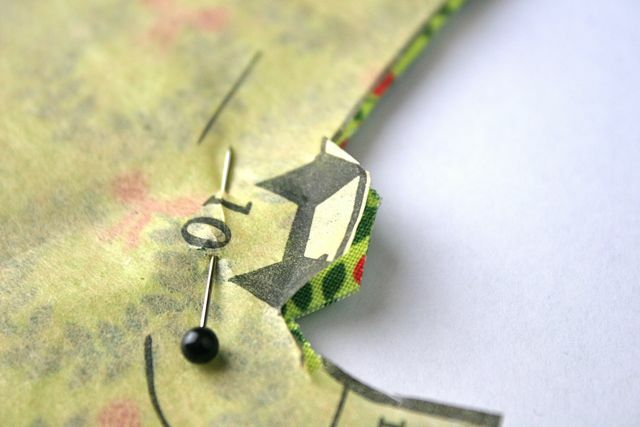 They allow you to mark a particular spot along a seam on both sides of the seamline to ensure that as you’re sewing, the two bits line up just right for the garment’s assembly. 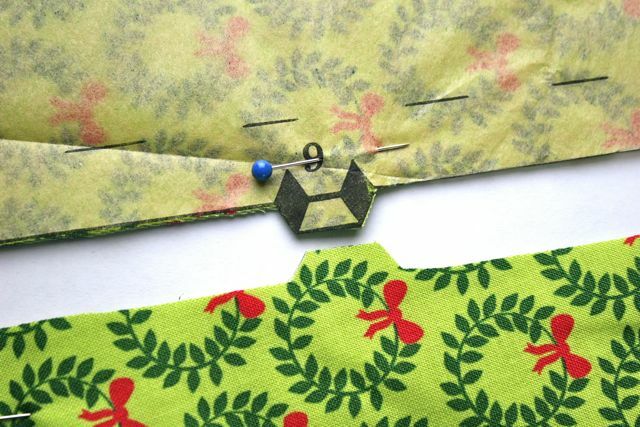 These photos, which are of a vintage pattern published around 1976, show that the notches are printed as a full diamond; you may find on newer patterns that they’re printed as a triangle, with a bold, black point to the inside of the cutting line and nothing outside of the cutting line. 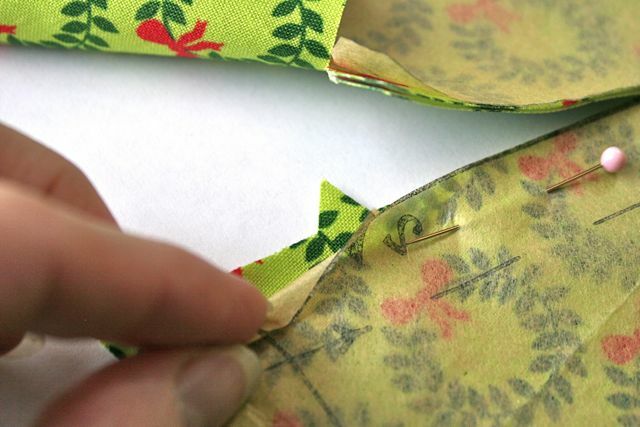 In either case, you can cut the notch in one of three ways: you can mark it with a punch of some kind, you can snip into the seam allowance and leave a cut mark to indicate the match points, or you can cut around the notch to make a little “tag” that hangs out beyond the seam to match things up. I make my notches the way my mom makes hers, which is logical, when you think about it. We all do things the way we do because that’s how we learned to do them. My mom cuts out from the seam line to make the notch, leaving a tag of extra fabric along the edge. 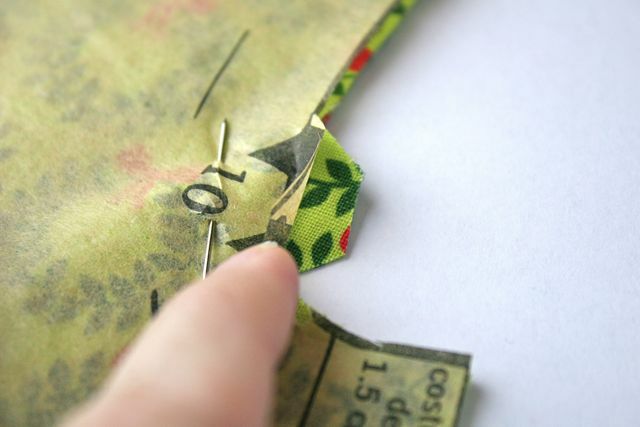 The advantage of this technique is that it leaves you plenty of margin for error and is very difficult to overlook as you’re matching up your pattern pieces. 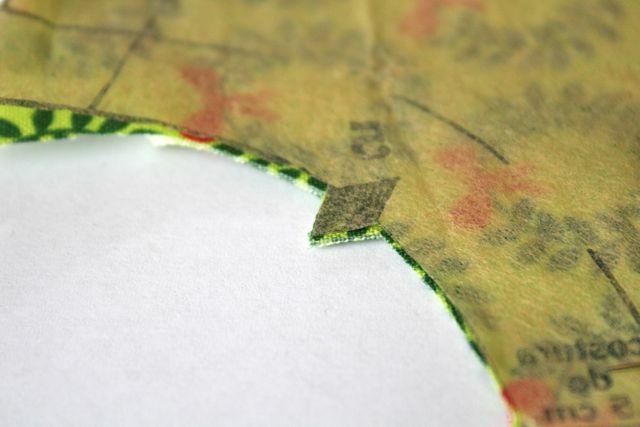 The drawback is that it takes a bit of time when cutting out your pieces to be accurate and make sure your notches are where they’re supposed to be–a drawback that I think is very small when compared to the advantages. 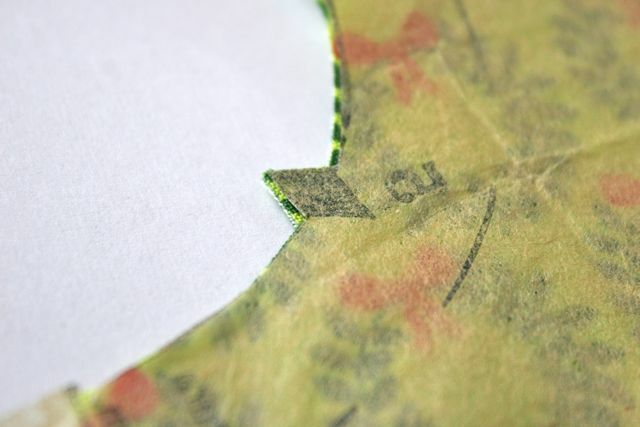 Alternately, you could snip into the notch: when you’re cutting out your pattern, rather than cutting the notch OUT, you’d snip into the V-shape of the notch up to the point, making just a single cut. Then, those cut lines meet up with one another, and you can match your pattern pieces. Same idea applies to using a notching tool: just pop a little snip into the seam allowance, where you had some waste fabric anyway. I never saw this until I was in college, and I know that a lot of fashion houses and design schools swear by this as THE CORRECT WAY to mark patterns. But I have both read and observed that snipping into the seam allowance not only weakens the seam, and makes it possible to rip your fabric, but also leaves you a lot less margin for error. If I made a cutting mistake, or if I need to let out a seam, I can’t do that if I’ve snipped into the seam allowance. 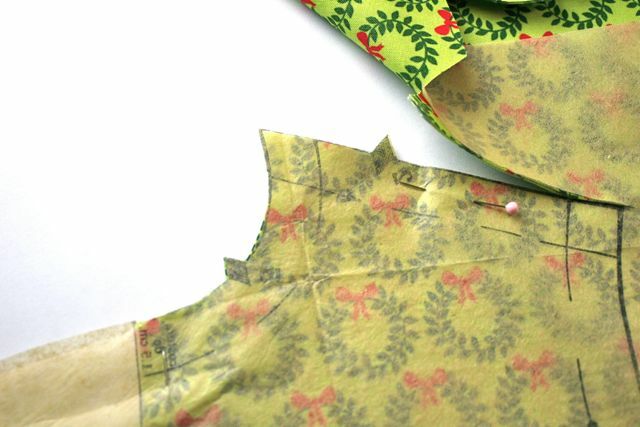 So I prefer to actually cut around the notches–it makes for a stronger seam, it’s more visible as you’re sewing, and it slows me down just enough as I’m cutting out that I can’t go on auto-pilot and make cutting mistakes that are easily avoided. Of course, for every single notch, there’s a double notch. 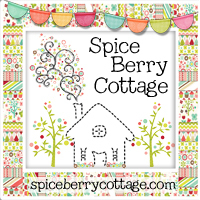 I don’t cut these separately, although on newer patterns they’re often depicted as two independent Vs. I cut mine the way they’re illustrated on older patterns: with a plateau across the points of these two mountains. It’s not necessary to cut them separately since they’re being matched up to something that’s the same shape. Generally, a double notch indicates the back of a garment while a single notch indicates the front of the garment. For example, the pattern pieces in these photos are from an armhole: the single notch is the front curve of the armhole, and the double notch is the back curve. By leaving the notches attached to one another, you make it super, super clear which is front and which is back, and avoid any chance that you might knock or snip off one of the points and confuse your front edge with your back edge. And as if THAT wasn’t enough, you can use the placement of notches on the pattern to match up the design in your fabric across your seams. Since we already know that the notches will meet one another along the seam line, it’s pretty simple to see that any design in the fabric will also meet along the same seam. 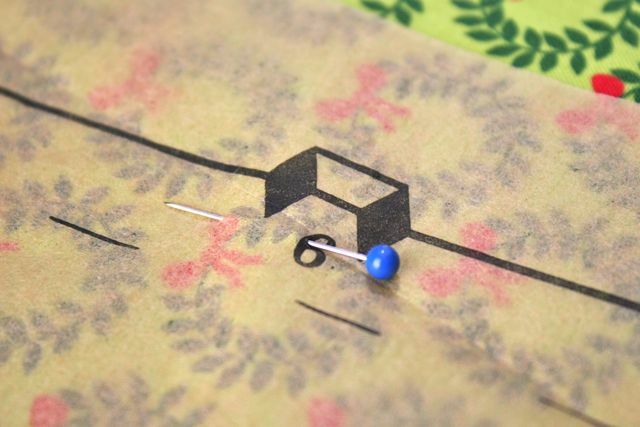 So if we want to make the design as continuous across the seam as possible, simply choose an element in the fabric, place the notch on that element on both pattern pieces, and pin and cut! 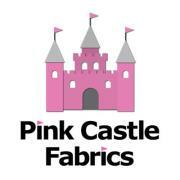 You’ll find that the design runs across the two garment sections and will match up when sewn. 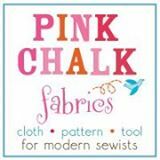 This is the same technique I used to match the plaid on my Lisette jacket last year, and works for plaids, stripes, dots, and any other print with a repeat! The catch: it’s a LOT easier to use when you cut your notches OUT rather than snipping IN. Don’t underestimate or discount how much work the notch is doing for you on your pattern! I totally get that there are schools of thought who prefer to snip in or use a tool, but I stand by my mother’s teaching: making the notches out is more visible, more secure and more long-lasting. How did you all learn to make notches, and do you still do it the same way? I’d love to know! I make mine the exact same way you do! And for the same reason: ‘cuz that’s how my momma taught me! And I agree that it gives me a little more “margin of error”, especially when I am a little sloppy with my cutting. By cutting into the seam allowance, I’m always afraid I would snip too far. I learned to sew at a local school. The younger teacher told me to cut into the seam. I didn’t like this as it seemed counter-intuitive for the reasons you mention–weaking the seam and all that. The older teacher (who learned from HER mother) always said to “make mountains, not valleys” and that’s the way I do it. It feels more…”right” and I like the wiggle room, too. Besides, when finished you can always snip off the tags if they bug you. I am exactly the same way! I learned to clip notches out, from my Home Ec teacher. It never seemed like a big deal to me to do, and even with all the quicker methods, I keep to my tried-and-true clipping out. It’s nice to be affirmed with all the reasonings in your post. Like in football: laces out…. See now, you’re just so smart. I’m totally sold and will definitely go forward this way. I was notching in and it made me nervous. 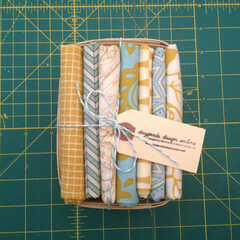 I am actually shocked that you’re a pattern cutter! I would have thought you were a tracer for sure. I do snip into my notches. I started out doing tabs, but snipping is just so much faster. Most of the time my edges get finished past the snip point, and for curves like that armhole I’d be snipping into it before turning it out anyway, so it didn’t make sense to me to take extra time avoiding snips when cutting the fabric.